On January 31st, 2016, the town of Dalori, Nigeria, was razed, and lit aflame. Barely a month after Boko Haram was declared “defeated” by Nigeria’s president, the smell of gun smoke in the air– and reports of children being burned alive– permeated Northeastern Borno State . 86 men, women, and children died– not including three young girls who detonated the bombs strapped to their bodies. In one night, the declarations made by President Buhari lost their meaning to those in Borno state. Buhari’s promise of peace ringed in the ears of those attacked by Boko Haram in the surrounding town of Goniambari village, Borno state, as well. Six people were killed and one was injured by gunshots when Boko Haram invaded their town on the evening of February 1st, 2016 ; like the attack on Dalori, the terrorists used bombs to set homes and buildings on fire. Food and livestock were taken by Boko Haram amidst the smoke and haze– leaving the town as deeply wounded as the sole survivor of the shooting. These attacks, leaving many deeply confused and full of grief, are all-out acts of war, no doubt mocking the peace that Nigeria’s president declared in December of 2015. The truth is, President Muhammadu Buhari, no matter how much he would like to, cannot declare that the enemy is defeated. But there is One who can. His Name is Jesus Christ. Many people scoff at this. As their surroundings descend into chaos, and deep sorrow, anger, and turmoil become the blanket around them, they can’t help but cry out. “Where is this All-Compassionate God?” They ask. “And if He is so Compassionate, why am I hurting?” Sadly, these are some of the oldest questions ever asked. For hundreds of years, sinners and saints together have grappled with the problem of pain. Thousands, if not millions of books written by philosophers, psychologists, scientists, and clergymen have tried to make sense out of something so senseless, claiming that God is silent on the subject. But this is just not true. In fact, the Bible, the Word of God itself, has much to say about the trials and heartbreak we, as humans, face daily. Be it the cause of, purpose for, or value in pain that we are questioning, the Bible has the answer. Pain is sadly a fact of life. But why? Pain and death came into our existence because of sin. In specifically Genesis 1-3, the beginning of everything is described— including the introduction of sin and suffering into the world. Genesis 2-3 describes this event: Adam, the first man, is told by God that he can eat from every tree in the garden, but the tree of the Knowledge of Good and Evil. God has a reason for this: Adam will “certainly die” if he does so (Genesis 2:15-17). Later on, in Genesis 3, the unthinkable happens. Spoken to by satan through a serpent, Eve– the first created woman– is asked a question by satan: “Did God really say, ‘You must not eat from any tree in the garden? '” (Genesis 3:1). Eve replies, “We may eat fruit from the trees in the garden, 3 but God did say, ‘You must not eat fruit from the tree that is in the middle of the garden, and you must not touch it, or you will die’” (Genesis 3:2-3). From the very beginning, satan was apart of this process; and, going on with the temptation, satan lies to Eve. Believing satan’s lies about her Creator, she, and Adam, eat the fruit from the Tree of Good and Evil (Genesis 3:6-7). In doing so, God declares the Truth all along: that because of their eating from the tree of the Knowledge of Good and Evil, they, and the world around them, would die (Genesis 3:13-24). It is from this passage that one profound Truth comes to light: God gave freewill, the ability to choose for one’s self, to mankind. Aided by satan himself, men chose to disobey God’s good command– and traded life in the Garden of Eden for death and being barred from the Tree of Life (Genesis 3:22-24). Though mankind created his own fall, God, Christ, had a plan for it all. While one may understand how and why sin, pain, and death entered the world, the question of the purpose of pain still exists. While pain can seem so senseless, and is so senseless, at times, there is a purpose for it all. Ultimately, while many try to figure it out, we must, in the end, realize what Isaiah 55:7-9 states. We, as mankind, cannot fathom Christ’s thoughts– including His plans and purposes for the pain we experience. However, there is immense value in the pain Christ allows believers to undergo. Pain brings us to the end of ourselves. In times of need, many run straight to Christ– which is exactly what happened to Paul the apostle. As Paul describes in 2 Corinthians 12, Christ allowed satan to give Paul a “thorn in the flesh” that caused him a great deal of pain (2 Corinthians 12:7). While no one knows exactly what it was, many have thought it to be “a chronic eye problem, malaria, migraines, epilepsy, and a speech disability,” or even “a person such as Alexander the coppersmith (2 Timothy 4:14)” . Whatever caused Paul this pain, it caused him to cry out to Jesus three times, begging Christ to take it away. Instead of taking away the thorn, Jesus told Paul something incredibly profound: “My grace is sufficient for you, for my power is made perfect in weakness” (2 Corinthians 12:9, NIV). This in itself is cause for joy in the midst of pain: while the pain may not relent for a long while– even a whole lifetime– the sorrow a believer experiences can drive them straight to the foot of the cross. Though the pain may be unbearable, it causes the believer to rely on Christ like never before; and in the midst of the deep sorrow, the Grace Jesus gives his children brings them closer to Him, and helps them to endure, as the Psalmist says in Psalm 28. “The Lord is my strength and my shield; my heart trusts in him, and he helps me. My heart leaps for joy, and with my song I praise him” (Psalm 28:7, NIV). This closeness with Christ gives immeasurable value to pain in the believers’ life. Ultimately, through every bit of pain and sorrow, the believer can look to Christ for the Hope, Comfort, Strength, and Guidance He needs. Not only this, but the believer can look forward to heaven, where our pains are achieving something beautiful for us. “For our light and momentary troubles are achieving for us an eternal glory that far outweighs them all. 18 So we fix our eyes not on what is seen, but on what is unseen, since what is seen is temporary, but what is unseen is eternal” (2 Corinthians 4:17-18, NIV). In this, there is great Hope. There is no doubt about it: the pain and sorrow humanity experiences is more than overwhelming at times. But one thing is clear: there is an ultimate plan, purpose, and meaning for our pain only in Christ. In the suffering happening to countless precious human beings in Northern Nigeria, may they run to Him. Again, Christ has used this ministry to bless me, as well. On February 2nd, 2016, the Pastor of the church family I have been apart of lost his son in a heartbreaking and tragic turn of events. Although I did not know him personally, many in the church did. Is it something that will no doubt change my Pastor’s life– and the lives of everyone in the church– forever. To everyone reading, please lift our Pastor, his family, and the church family up in prayer. Thank you. even death on a cross” (Philippians 2:7-8)! Truly, Jesus Christ entered this world of pain and death for you and for me. Meet the God who Loved you enough to die in your place, here. Lord Jesus, we come before your throne, thanking You and praising You for all that You have done. You died the death we would never have to, so that we might have this hope in You. Lord Jesus, please extend and give this hope to the countless suffering people in Northern Nigeria, specifically in Borno state, right now. Lord Jesus, You are the God of All Comfort (2 Corinthians 1:3); and Christ Jesus, we pray in Your Name that You would send Comfort, Hope and Joy to those living in the valley of the shadow of death, in the form of Your Gospel. Lord Jesus, we pray that you would raise up people in and around Borno state to share You and Your Gospel with the people currently suffering there. Please grant those people favor, wisdom, and the Words to proclaim Your Gospel fearlessly, as they should (Ephesians 6:19). As people share You and Your Gospel there in Borno state, I pray that You would soften the hearts and minds of the people there– and, in Your Grace and Mercy, save them from their sin, and give them Hope for the future that they so desperately need. Lord Jesus, we also pray for the Chibok girls of Borno State. Please, Lord Jesus, move in President Buhari, the military, and all those in power to find, rescue, and finally free these uniquely precious girls. Bring them, and their Loved Ones, closer to You, even now. We thank You for this, King Jesus. “Maranatha,” Lord Jesus– please come soon. In Christ’s Name we pray, Amen. 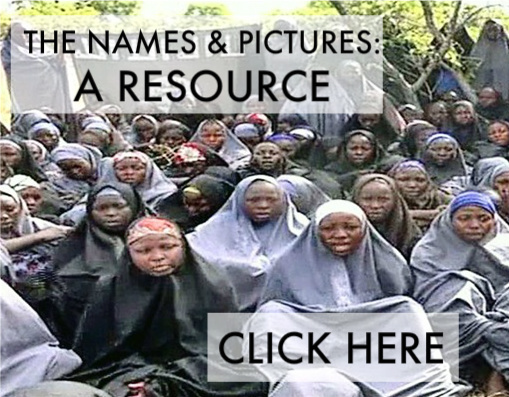 Sign the petition for the Chibok girls, here! The statistics are heartbreaking. According to estimations made by the Council on Foreign Relations, approximately 1 million Nigerians have been displaced and robbed of their livelihoods by the terrorist group Boko Haram since November 2013. Not only have millions lost their businesses, farms, and homes, but over 10,000 men, women, and children have lost their lives– callously targeted and slaughtered by the Boko Haram (BH)– because they have refused to take part in their barbaric, demonically evil actions of violence. These statistics have given cause for the BH’s violence to be compared to ISIS’s violence, with only approximately 400 more violent deaths caused by ISIS in the past year. When reading such statistics, it can be easy to stop there, shocked by the numbers and disturbed by the masses of people lost. It can be easy to study graphs and shake our heads, disconcerted by the sharp increases in violence seen starting in 2014. In the midst of these numbers, though, we must not forget that Christ is a God who knows every one of the people affected, hurt, and killed by the Boko Haram; these people are not just statistics to our Lord, but are fully and intimately known by their Creator. Every person counted in these statistics have names, stories, and loved ones; for every person killed, there are people mourning their loss. Our God is near to every soul robbed of it’s joy, every injured body, and every grieving heart; not only this, but countless men and women who put their trust in our Lord now reside with Him in heaven, emptied of all their temporal pain, full of the eternal joy of Christ. In sight of eternity, there are many prayers said for those mourning and in loss, while many prayers are being prayed against the members of the Boko Haram. Many have lashed out at the members of the Boko Haram (and ISIS, for their violent acts have caused even more pain), breathing out curses and prayers for their destruction. Yet, it’s important to ask what Christ would do in such a situation– or, to look back on what He did do, as He looked out at the masses cheering for His death. His response was one of pure love. Our Lord did not need to die for us, nor was He truly ever at our mercy. No; instead, Christ gave himself willingly (as seen in John 10:17-18), knowing that only by His wounds all of us would be healed. He looked at those who zealously pounded nails into His hands and feet with nothing but love and forgiveness, asking the Father to forgive all of us, “for [we] did not know what [we were] doing” (John 10:18, “we” and “we were” mine). I say “we” because Jesus also died for all people today, for us; Jesus died for every sin (of every sinner) ever committed (2 Corinthians 5:14). This solid truth means that every bit of evil we’ve ever committed against another– even the sins we commit against ourselves– have nailed Jesus to that tree. The simple, hard to swallow truth is this: Every sin, “big” and “small,” “justified” and “unfair” alike, has not only harmed and killed ourselves or those whom we’ve sinned against, but have actually killed Christ. This truth changes those who believe it at the very core of themselves, forever. Searching God’s word, those who are changed by Christ’s love find that they must take up Christ’s way of interacting with those who persecute them: “If someone slaps you on one cheek, turn to them the other also. 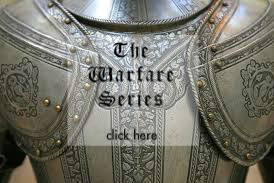 If someone takes your coat, do not withhold your shirt from them” (Luke 6:29, NIV). 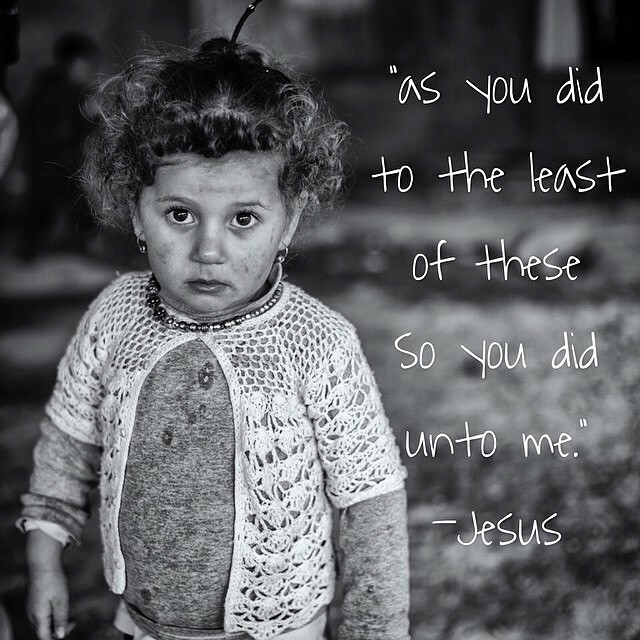 This philosophy seems to make no human sense; it speaks of giving our all to the Love of Christ, allowing others to treat us harshly while we respond with going the extra mile to Love our enemy. Not only does it make no human sense, it is not humanly possible without the Lord Himself living in us, as Jesus stated in John 15: “I am the vine; you are the branches. If you remain in me and I in you, you will bear much fruit; apart from me you can do nothing” (John 15:5, NIV). Yet, with Christ, all things, including truly Loving our enemy, are possible (Matthew 19:26). With Christ, we have the ability to look at statistics, view the horrendous damage, and respond with humble, loving prayers for our enemies, knowing that Christ died for them too– and we are no better than them, but have also hurt and killed Christ ourselves. For “they do not know what they do” to the souls, hearts, minds, and bodies of those whom they harm and murder; they have not yet discovered that they are only hurting Christ. We must remember that we don’t truly fight against flesh and blood, but “against the rulers, against the authorities, against the powers of this dark world and against the spiritual forces of evil in the heavenly realms” (Ephesians 6:12, NIV). In short, we are not merely fighting against the members of the Boko Haram; we are fighting against the evil that fuels their violent acts, a spiritual element that these men have no idea they are being devoured by themselves. These men must come to the end of themselves, only so that Christ can welcome them with His nail-scarred hands opened wide, something they need as much as their victims do. In light of this, please pray that the members of the Boko Haram would see and know the Love of Christ– perhaps, even through those men and women whom they are persecuting. Pray for Abubukar Shekau, the leader of the Boko Haram, that He would see and understand that He is truly killing Christ; pray His heart would be softened and that He’d hear the gospel in a whole new way, and that He’d know Christ as His Lord and Savior. Pray for those in captivity, that Christ would use them to bring the love and gospel of Christ to those who need Him. Pray for the thousands upon thousands of men and women whom Christ is near to, that they’d feel His comfort and near Presence. Because truly, these men need to hear the message of Christ just as much as their victims do. On September 11th, 2014, news was made that Comrade Shehu Sani, President of the Civil Rights Congress of Nigeria, along with the Red Cross, started to join in talks with the Boko Haram to release 30 of the kidnapped women and girls from captivity in exchange for either 18 or 30 (mixed reports of both numbers have been published) of the Boko Haram’s key sect members, currently imprisoned by the Nigerian government. Negotiations going on to release the girls were suspended momentarily, due to disagreements between the government and the BH on the number of girls to be released. As the government wanted all of the girls freed for the 30 prisoners, the BH wanted to release them in a piecemeal matter, something that has frustrated negotiation attempts so far. The outcome is hopeful, but uncertain. What seemed like a positive and progressive step towards the girls’ release was coupled and strengthened with the news that the Nigerian military, as well as vigilante groups fighting alongside the military, had won over attacks against the Boko Haram 35 km (22 miles) from Maiduguri— and in the process, killed one of the Boko Haram’s most feared commanders. On September 12th, it was reported that the Boko Haram’s leader, Abubukar Shekau, was killed during the fighting, though this report is also being incredibly questioned and found to be false. If it is true, the whole of Boko Haram may undergo serious changes in it’s effectiveness, level of violence, and military targets, as discussed in the above article. During this time, many truths, through hardship and trial, have been learned, one being this: that Christ, and not our circumstances, must be where our hope abides. Reading a headline can easily (and has easily) thrown me into states of excitement, confirmation and encouragement, while other times, they’ve discouraged and disappointed me greatly, making me almost to lose all hope. This disposition can change daily, and usually does; some days, every headline seems to speak of a firm hope in their rescue and in this conflict’s resolution, and other days, that hope can be completely wiped away with a few sentences. No matter what headlines say– as so many of them are flawed, and the news itself can be faulty, sadly– something that has comforted me up until this point, and continues to even here, is the fact that Christ is alive and at work in every circumstance. He is faithful. We can trust Him in all things. To be honest, I’ve found myself asking if I truly believe they’ll be free, as I once did so many months ago. The words Christ so boldly and beautifully wrote upon my heart in June have now faded with life events being weaved in, over and around those promises, making them to fade and turn rusty. My mind, body, heart and soul find it hard to keep from being dry, apathetic, and even bitter. If I am brutally honest, I have been disbelieving. I have been apathetic. I have puttered out. I have become selfish, consumed with newer life events and my own trials (though I know and trust that God, too, has these situations in the very palm of His hand). It is easy to become impatient. It is easy to be discouraged. It is way too easy to give up, to fade out, and to abandon this whole measure all together. In fact, I’ve found myself starting to do so without realizing it. But reading these headlines– full of hope, of pain, of victories, of loss, all within the same days and weeks– has shown me that the Lord’s hand may be unseen, but He moves in more complex ways than we could ever pray for or imagine (Ephesians 3:20, NIV). We have seen prayers answered: that the Lord would break and decimate the members of the Boko Haram, so that, being broken in spirit, they’d cry out to Jesus; that the government would be given wisdom and understanding for knowing how to fight against the Boko Haram, as well as how to get these girls back home. Both of these prayers, and assuredly many more prayers, have shown themselves to be attentively heard, graciously answered, and unmistakably true– like small, subtle slivers of light through blinds into a dark room. But when the Lord promised they’d be free, He didn’t promise it’d be done on our terms. Never did our God promise that the story of these beautiful young girls, of the Nigerian people, wouldn’t be complex, chaotic, and filled with such sickening, incomprehensible situations that we’d be left speechless, confused, angered, annoyed, and shell-shocked at what we’ve read and heard. Jesus also has not promised us that our lives would have simple plot lines. That the resolution to such huge problems would be big enough to fit on a newspaper headline. That the action would be filmed or shot on camera, that prayers answered would be completely and obviously seen. But we must look at what He has promised us. We must hold on to His promises, remembering His faithfulness, and knowing that He will always be forever faithful to us. “For all the promises of God in Him are Yes, and in Him Amen, to the glory of God through us” (2 Corinthians 1:20, NKJV). Pray for the men and women in Nigeria, that they would fall into such a place where they need the Lord, and that they, in the quiet, broken softness of their hearts, would come to know Christ Jesus as their Lord and Savior. Pray this also for the Boko Haram members, as they continue to fight in the name of Islam; pray that they’d come to see the meaningless, empty loneliness of their false idol worship. Pray that they’d see how the hatred, the bitterness, and the death not only of their physical selves but of their spiritual selves as well has come about, and that they’d cry out to Jesus in desperation as their Lord and Savior. That there, Christ would come to them and make Himself known to them in huge, amazing ways. Pray they’d be brought near to Him in His love, and would know His peace that surpasses all understanding– that they’d be completely and totally changed by His gospel. As they come to know Jesus as their Lord and Savior, pray that they’d be strengthened and emboldened by the Holy Spirit, with all spiritual wisdom, revelation, and understanding, to bring the Gospel to those within the BH, so that all others may be saved as well. Pray for Abubukar Shekau– that His heart would be slowly but surely tilled and broken up so that it may be supernaturally soft to hear the word of God. Pray that the Holy Spirit would break Shekau, so that this evil man may come to know Christ’s love and awesome redemptive power. Remember, the apostle Paul (formerly known as Saul) himself was a former terrorist to the early Christian Church before the Lord stopped him on the road to Damascus (Acts 9)! Pray that an equally, incredibly powerful event would occur in Abubukar’s life. Pray– and Praise the Lord! !– for the negotiations happening between Shehu Sani, the Red Cross, and the Boko Haram; for favor on behalf of these girls, for their imminent release, and for the mighty and powerful hand of the Lord our God to move in and through those camps to bring all of the girls and the BH members to faith in Jesus. What He has promised, let us not forsake in praying to Him for.